Behavioral and psychological symptoms of dementia (BPSD) are a heterogeneous range of psychological reactions, psychiatric symptoms, and behaviors that are unsafe and disruptive and impair the care of the individual. Jost and Grossberg3 found that behavioral symptoms were observed in 72% of individuals more than 2 years before the actual diagnosis of dementia. Apathy is the most common problem in individuals with dementia; it tends to occur early in the course of illness and remains stable through the course of the illness. Findings indicate that BPSD occurs because of the complex interactions between anatomical, functional, and biochemical changes that occur in the brain. BPSD is associated with greater overall burden of care for individuals with dementia.5 The emergence of BPSD often results in the referral of patients with dementia to a specialist’s care. Assessment tools such as the Neuropsychiatric Inventory, the Behavioral Pathology in Alzheimer Disease rating scale, the Consortium to Establish a Registry for Alzheimer Disease Behavior Rating Scale for Dementia, Dementia Behavior Disturbance scale, and the Neurobehavioral Rating Scale can be used to aid diagnosis of BPSD.8 These instruments help identify behaviors and rate their severity. Operative treatment of disease has a tremendous yet unrecognized impact on modern medical systems. Cardiovascular complications are one of the most common perioperative adverse events in patients undergoing noncardiac surgery. The core goals of preoperative cardiac assessment are to determine the status of the patient's cardiac conditions, to provide an estimate of risk, to determine if further testing is warranted, and to determine if interventions are warranted to reduce perioperative cardiac risk. The prior cardiovascular history of the patient is the foundation of the perioperative assessment. The clinician should inquire about prior myocardial infarction (MI), congestive heart failure, valvular disease, angina, or arrhythmia. Functional capacity is vital information, as exercise capacity is a reliable predictor of future cardiac events. The degree of surgical risk contributes to a patient's risk for cardiac complications. The physical examination serves to confirm this information and can reveal information of importance unknown to the patient. The electrocardiogram is a commonly used tool in traditional preoperative cardiac assessment, although its role in the asymptomatic patient is unclear. Since Goldman and colleagues1 created the first risk stratification tool in the late 1970s, several risk indices have been published, each with their own benefits and limitations. In patients with suspected occult coronary artery disease or with risk factors and limited functional capacity, noninvasive cardiac testing can unveil the presence of significant coronary artery disease and assess the patient's functional capacity. Medical means of perioperative cardiac risk reduction in recent times have predominantly focused on two classes of medications: selective beta1 antagonists (beta blockers) and 3-hydroxy-3-methylglutaryl coenzyme A (HMG-CoA) reductase inhibitors (statins). In contrast to cardiovascular risk assessment and management, the literature on perioperative pulmonary assessment and intervention is less robust. Postoperative pulmonary complications (PPCs) are equally prevalent compared with cardiac complications and contribute similarly to morbidity, mortality, and length of postoperative hospital stay. Routine pulmonary function testing and chest radiography are not indicated preoperatively because they do not predict PPCs; obtain these only if the patient is symptomatic, has unexplained dyspnea, or is undergoing lung volume reduction surgery or other intrathoracic procedures. Interventions that successfully reduce PPCs in high-risk patients include incentive spirometry or deep-breathing exercises and selective use of nasogastric tube decompression. Until recently, no scoring systems existed for predicting PPCs akin to those used for cardiovascular risk stratification. Other ongoing avenues of research include the effect of obstructive sleep apnea on PPCs and the role of continuous positive airway pressure and bilevel positive airway pressure in preventing or treating postoperative respiratory failure and PPCs. Venous thromboembolism (VTE), which includes deep venous thrombosis (DVT) and pulmonary embolism (PE), are quite common causes of morbidity and mortality that are largely preventable in the postoperative patient. Surgical patients in particular have significantly increased risks for VTE due to advanced age, multiple medical comorbidities, and prolonged procedure times, in addition to the hypercoagulable state of surgery and immobility. Postoperative DVT is typically asymptomatic, and fatal PE can often be the first sign of VTE; screening modalities (such as with venous duplex imaging) in asymptomatic patients have low sensitivity to detect clot, so it is not appropriate to use these unless clinical suspicion is present. Patient-related risk factors for VTE include age older than 40 years, malignancy, immobilization, varicose veins, severe cardiopulmonary disease (prior MI, congestive heart failure, chronic obstructive pulmonary disease), prior stroke, paralysis or spinal cord injury, prior VTE events, hyperviscosity syndromes (polycythemia vera or malignancy related), and major vascular injury. VTE risks also vary with the type of procedure; orthopedic and neurosurgical procedures have the highest reported rates in the literature in the absence of prophylaxis. Modalities to prevent VTE events are categorized into nonpharmacologic and pharmacologic means. The use of inferior vena cava (IVC) filters has increased significantly over the past several decades, with an increasing percentage being placed for prophylaxis in high-risk patients. More than 2 million Americans currently take anticoagulant agents to prevent or treat thromboembolic events. High-risk patients have up to a 10% rate of thromboembolism per year and are typically managed with bridging therapy, because the concern for a thromboembolic event outweighs the perceived bleeding risk. Assessment of thromboembolic risk perioperatively is not simply achieved by taking the yearly risks and dividing by 365 to obtain a daily risk. Intravenous unfractionated heparin and LMWH are typically used for bridging therapy, although the use of LMWH in patients with mechanical heart valves is controversial. Stopping and restarting medications in the perioperative period is an essential component to perioperative care. Postoperatively, patients present with a significant stress response, including an increase in pituitary, adrenal, thyroid, and hypothalamic activity, which leads to heightened sympathetic nervous system activity. Cardiovascular medications in general should be continued throughout the perioperative period, because they treat and stabilize conditions such as coronary artery disease, congestive heart failure, and cardiac arrhythmias. Statins (HMG-CoA reductase inhibitors) have clear associations with perioperative mortality benefit by randomized trial and epidemiologic data. Antiplatelet agents include aspirin, nonsteroidal anti-inflammatory drugs (NSAIDs) and thienopyridines, such as clopidogrel. Tight glycemic control in the perioperative period is clearly associated with reductions in mortality and length of critical care unit stay, as well as reductions in wound infections and complications in cardiac surgery patients. 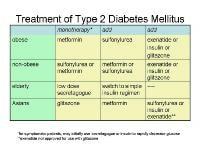 Patients taking intermediate-acting insulin should take at least one half to two thirds of their evening dose the night before and on the morning of surgery, because approximately one half of insulin is used for non-nutrient metabolic needs. Psychiatric medications should be continued perioperatively, because decompensation of psychiatric conditions should be avoided if possible. Perioperative cardiovascular events are infrequent but are associated with a high mortality rate; clinicians must understand the basics of cardiovascular risk stratification as increasing numbers of patients undergo surgery. 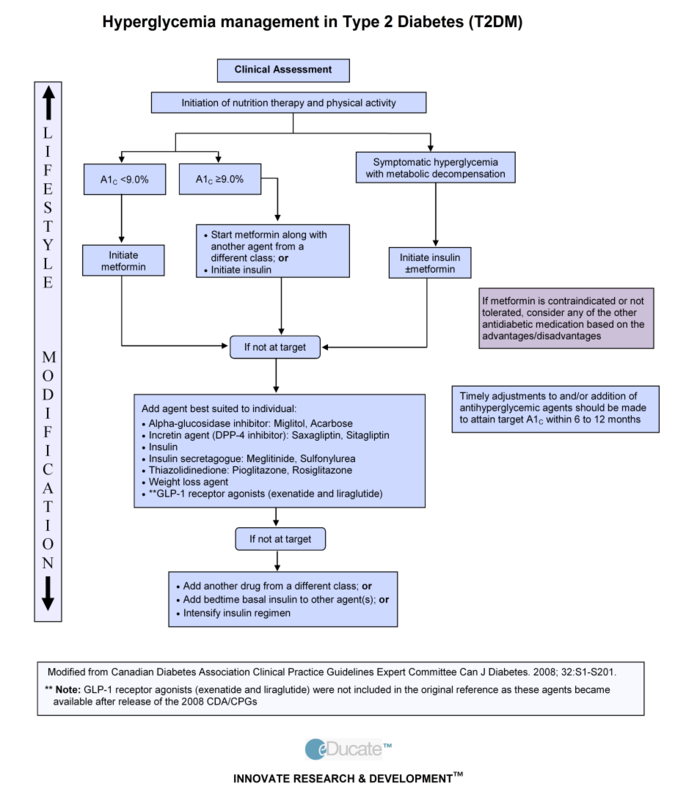 Effective pulmonary risk reduction strategies include incentive spirometry or deep breathing exercises and selective use of nasogastric tube decompression. Risk of venous thromboembolism is markedly increased by surgery; clinicians should have a prophylaxis strategy for every patient based on patient and procedure-related risks. Decisions regarding stopping and restarting medications in the perioperative period should be based on procedure-related risks and on the risks of decompensation of the condition being treated by the medication. Multifactorial risk index for predicting postoperative respiratory failure in men after major noncardiac surgery. Development and validation of a multifactorial risk index for predicting postoperative pneumonia after major noncardiac surgery. A brief self-administered questionnaire to determine functional capacity (the Duke Activity Status Index). Derivation and prospective validation of a simple index for prediction of cardiac risk of major noncardiac surgery. Risk assessment for and strategies to reduce perioperative pulmonary complications for patients undergoing noncardiothoracic surgery: A guideline from the American College of Physicians. The preoperative cardiovascular evaluation of the intermediate-risk patient: New data, changing strategies. How strong is the evidence for the use of perioperative beta blockers in non-cardiac surgery? Statins are associated with a reduced incidence of perioperative mortality in patients undergoing major noncardiac vascular surgery. Association between long-term statin use and mortality after successful abdominal aortic aneurysm surgery. Reduction in cardiovascular events after vascular surgery with atorvastatin: a randomized trial. Optimal foraging theory - wikipedia, free encyclopedia, Optimal foraging theory (oft) model helps predict animal behaves searching food. When should you order a serum fructosamine level for a, 3 responses to when should you order a serum fructosamine level for a diabetic patient?. Fructosamine – wikipedia, the free encyclopedia, Fructosamines are compounds that result from glycation reactions between a sugar (such as fructose or glucose) and a primary amine, followed by isomerization via the. Comparison of blood glucose, hba1c , and fructosamine, np, The hemoglobin a1c is an important part of long term blood glucose monitoring. Diabetes: fructosamine blood glucose level test, The fructosamine test is a blood test, like the a1c, except that it measures glycated protein in the blood instead of glycated hemoglobin. Hyperglycemia: facts on symptoms, signs and treatment, Hyperglycemia is an abnormally high blood glucose (blood sugar) level. Delusions commonly seen in individuals with dementia include false beliefs (eg, of theft, infidelity, misidentification syndromes). Certain genes can predispose individuals to BPSD, and premorbid personality may contribute to the emergence of certain types of behavioral symptoms. Paranoia, aggression, and sleep-wake cycle disturbances are associated with greater caregiver burden, caregiver depression, and the risk of institutionalization. Collateral information aids in determining the onset, the course, and the differential diagnosis of BPSD. Although in absolute numbers they are rare, they are associated with a mortality rate as high as 70%. Because the incidence of perioperative cardiovascular events varies according to the patient risk profile, risk of the proposed surgery, and the patient's functional capacity, all of these elements should be parts of the preoperative history. If the patient has had prior diagnostic testing or therapeutic interventions, inquire about when and where these were done and the results of such procedures. This is usually expressed in metabolic equivalents (METs), where one MET is defined as the oxygen consumption of a 70-kg man at rest. In general, procedures that are longer and have greater potential for blood loss, hemodynamic instability, and intravascular fluid shifts carry greater risk. Vital signs can detect hypertension or hypotension, tachycardia or bradycardia, significant arrhythmias, or hypoxia if pulse oximetry is used. Incidental findings that might be significant include evidence of prior MI, conduction abnormalities such as second- or third-degree heart block, bundle branch block, and left ventricular hypertrophy suggesting hypertensive heart disease. Treadmill stress testing, with and without thallium imaging, has been assessed in the literature and found to have good negative predictive value for perioperative cardiac events. Asymptomatic patients with prior coronary artery bypass graft surgery or percutaneous coronary interventions have lower rates of perioperative mortality and nonfatal MI compared with historical controls; this protective effect lasts approximately 4 to 6 years. Because patients at risk for postoperative MI and cardiac events often have indications for statins, the perioperative period may be an opportune time to consider long-term statin candidacy in these patients, regardless of the perioperative period. However, the American College of Physicians has published a summary of the literature and guidelines for evaluation and management. Patient factors increasing the risk for PPCs include chronic obstructive pulmonary disease, age older than 60 years, American Society of Anesthesiologists (ASA) class II or greater, functional dependence, and congestive heart failure. Right heart catheterization and total enteral or parenteral nutrition also have been studied in this vein, and neither intervention has proven benefit in reducing PPCs. Re-searchers with the Veterans' Administration National Surgical Quality Improvement Project (NSQIP) developed and prospectively validated scoring systems for predicting postoperative pneumonia and respiratory failure that include many of these predictors in numeric scoring systems. Several national quality-improvement organizations have cited VTE prophylaxis for patients at risk as a priority for both individual physicians and for hospitals, because this intervention reduces both adverse patient outcomes and hospital costs. Thus, clinicians must consider VTE risk and risk-reduction strategies in all patients undergoing surgery. Therefore, the approach of choice is to systematically apply prevention strategies to all patients undergoing surgery, with treatment choices based on patient-related and procedure-related risks. Nonpharmacologic methods include early ambulation, graduated compression stockings, and intermittent pneumatic compression devices. Note that aspirin alone is not recommended by the ACCP guidelines because data show limited effectiveness compared with other modalities and increased bleeding risk, mostly gastrointestinal in origin. Prevention of venous thromboembolism: The Seventh ACCP Conference on Antithrombotic and Thrombolytic Therapy. More recently, retrievable IVC filters have been developed that can be removed up to 180 days after placement. As the population ages, so will the frequency of surgical procedures, and consequently clinicians will need to manage perioperative anticoagulation more often. Bridging involves discontinuing warfarin 5 to 6 days before surgery and initiating therapeutic-dose subcutaneous LMWH or intravenous unfractionated heparin when the patient's international normalized ratio (INR) falls below the therapeutic range. Because the perioperative bleeding risk with bridging therapy outweighs the thromboembolic risk in these patients, bridging therapy is not indicated. These patients can have comparable risks of bleeding and thromboembolism, so individual patient and procedure factors must be assessed on a case-by-case basis. Surgery creates a prothrombotic milleu that can increase VTE risk by 100-fold, and discontinuation of warfarin has been associated with biochemical evidence of rebound hypercoagulability. Appropriate medication management helps to maintain stability of chronic conditions, prevent medication withdrawal, avoid interactions with anesthetic agents, and facilitate transition to discharge. First, medications with significant withdrawal potential that do not negatively affect the procedure or anesthesia administration should be continued during the perioperative period. Some notable exceptions include anticoagulants and antiplatelet agents (discussed later), diuretics, and angiotensin-converting enzyme (ACE) inhibitors and angiotensin receptor blockers (ARBs), which are associated with hypotension with induction of anesthesia, often requiring intraoperative pressor therapy. They might prevent vascular events by other mechanisms besides cholesterol lowering, such as plaque stabilization, reduction in inflammation, and decreased thrombogenesis. Although aspirin and clopidogrel are typically used for patients with preexisting coronary, cerebral, or peripheral vascular disease for maintaining vessel patency and reducing event risk, they also increase the risk of postoperative bleeding. However, many clinicians fear the possibility of perioperative hypoglycemic events given the variable caloric intake and disruption of anabolic and catabolic processes surrounding major surgery. These agents are often perceived by the public as being natural and therefore completely safe; however, they have no FDA regulation because they are considered food supplements, and they can contain varying amounts of the active ingredient, among other compounds. Agents such as selective serotonin reuptake inhibitors, the newer serotonin-norepinephrine reuptake inhibitors, and benzodiazepines are safe to continue. 36 student work fruits vegetables: student shows good grasp situation mathematical operation. Individuals with dementia who have a family history of depression appear to be at greater risk for a major depressive episode than those without a family history. Table 1 details the various neurobiological changes that contribute to the development of BPSD. BPSD results in the worsening of activities of daily living, faster cognitive decline, and a poorer quality of life. Serious adverse events occur in more than 1 million of these patients at an estimated cost of $25 billion annually. It is essential for clinicians to be familiar with current cardiac risk evaluation and preventive strategies for patients undergoing noncardiac surgery. Traditional risk factors, such as hypertension, dyslipidemia, tobacco use, and diabetes, are essential elements, as well as comorbid conditions that might limit functional capacity such as peripheral vascular disease, chronic obstructive pulmonary disease, cerebrovascular disease, and renal insufficiency. Greater than 7 METs of activity tolerance is considered excellent, whereas less than 4 METs is considered poor activity tolerance. Jugular venous distention, the presence of a S3 gallop, or rales suggest decompensated heart failure. Although the current literature notes no evidence that asymptomatic findings on the preoperative electrocardiogram affect postoperative cardiac risk, clinicians often obtain this test as a preoperative baseline for comparison in the patient with prior heart disease or with intermediate to high clinical predictors for cardiovascular events. Dipyridamole or adenosine thallium imaging can be used in patients unable to reach an adequate heart rate with physical activity and also has a comparable negative predictive value. However, more recent literature suggests that prophylactic revascularization, even in high-risk surgeries, does not reduce risk in patients without unstable symptoms; this might partly be due to the risks of the revascularization itself (coronary artery bypass graft surgery complications or stent thrombosis). Although these tools have prognostic value, guidance of preventive therapy based on these tools is limited. These patients require the most aggressive approach, often combining pharmacologic and nonpharmacologic means. Pharmacologic methods routinely evaluated include aspirin, low-dose unfractionated heparin (LDUH), low-molecular-weight heparin (LMWH), warfarin, and factor Xa inhibitors such as fondaparinux. However, placing retrievable IVC filters appears to be cost prohibitive in multisystem trauma patients. Discontinuation of anticoagulation leaves patients unprotected from thromboembolic risk for several days around the time of surgery. The bridging agent is stopped 6 to 24 hours before surgery, and anticoagulation is resumed as soon as possible postoperatively. Warfarin can be discontinued approximately 5 days before surgery and resumed postoperatively when the bleeding risk related to surgery is minimal. Therefore, even in low-risk and intermediate-risk patients, appropriate VTE prophylaxis measures should still be applied, even if bridging therapy is not indicated. In the two deaths, anti-Xa levels were subtherapeutic at some points during treatment; subsequent studies note that the physiology of pregnancy can affect the pharmacokinetics of enoxaparin, leading to lower anti-Xa levels. Although published clinical trial data in this area are limited, management strategies are extrapolated based on case reports, expert consensus, in vitro studies, and pharmaceutical manufacturer recommendations. Also, gut motility and absorption may be diminished by factors such as villous atrophy, splanchnic blood flow changes, ileus, and narcotics use. The literature does support a benefit of perioperative ACE inhibition toward mortality, but these studies do not note whether these agents were stopped before surgery, how far in advance they were stopped, and how quickly they were restarted postoperatively if they were stopped. Previous concerns for increased risk of rhabdomyolysis are not well founded, because these were based on scant individual case reports with marked confounding. For most patients, short-term discontinuation of these agents perioperatively does not lead to increased adverse outcomes; therefore, it is reasonable to discontinue them 7 to 10 days before elective surgery. Insulin coverage should be anticipatory and dosed for basal coverage with long-acting and intermediate-acting agents and mealtime doses with additional units for coverage as needed with short-acting or ultrashort-acting insulin. On the other hand, prescription medicines are often perceived as artificial and therefore less safe, despite rigorous standards from the FDA for dosing and safety. Some concern exists for perioperative arrhythmias in conjunction with tricyclic antidepressants, but the literature does not support this concern. Environmental factors and psychosocial stressors may be triggers for the onset or the worsening of symptoms. Current symptoms such as chest pain at rest or on exertion, shortness of breath, claudication, syncope or presyncope, or anginal equivalent symptoms should be noted. The Duke Activity Status Index suggests questions that correlate with MET levels; for example, walking on level ground at about 4 miles per hour or carrying a bag of groceries up a flight of stairs expends approximately 4 METs of activity. The RCRI is a simple tool that discerns the presence of six independent predictors of major cardiovascular complications (Box 1). Dobutamine echocardiography has similar risk-stratification usefulness, with the added advantage of lower cost; this test is more limited in patients with preexisting wall motion abnormalities or in the presence of bundle branch blocks. If patients have an independent indication for revascularization, then this should be pursued and elective surgery postponed; otherwise, medical optimization should be considered as the primary means of risk reduction. In contrast, outpatient procedures such as cataract surgery and laparoscopic procedures have quite a low risk for perioperative VTE and do not require preventive means other than early ambulation unless other VTE risks are present. Another agent recently showing promise was ximelagatran, an oral direct thrombin inhibitor, but this was withdrawn from the market due to risks of severe hepatotoxicity noted during clinical trials. Because it is not clear that they improve outcomes, are costly, and have a fair rate of complications (29%, including improper placement, migration, caval occlusion or wall penetration, and venous stasis), current ACCP guidelines do not support prophylactic placement of IVC filters. However, aggressive anticoagulation in the postoperative period can increase bleeding risk. In addition, consider the consequences of the thromboembolic event being averted by bridging. In one study of general surgery patients, patients taking chronic medications had 2.5 times the likelihood of developing postoperative complications. Second, medications that increase surgical risk and are not essential for short-term quality of life should be discontinued during the perioperative period. More studies are needed in this area, but given the available data, it seems prudent to discontinue ACE inhibitors or ARBs on the morning of surgery. One important exception to the risk equation is when patients have a recently placed drug-eluting stent in a coronary artery or arteries. Sliding scale insulin alone is insufficient and has been shown to lead to unacceptable rates of both hyper- and hypoglycemia. Clinicians must specifically inquire about herbal preparations and over-the-counter medications, because many patients do not even consider these to be medications. Monoamine oxidase inhibitors are used much less commonly now, but they still are used for refractory depressive disorders. We don’t upload or store audio or video file of 7 Years Clean Version in our cloud storage or our hosting. Underlying medical conditions, including pain syndromes, urinary tract infection, and dehydration, can result in exacerbation of symptoms. Given these staggering numbers, it is imperative that clinicians involved with patients undergoing surgery know the basics of perioperative diagnosis and management. Patients limited in their activity from noncardiac causes, such as severe osteoarthritis or general debility, are categorized as having poor functional capacity, because one cannot discern if significant cardiac conditions exist without the benefit of a functional study (noninvasive testing). Carotid, femoral, or abdominal bruits suggest peripheral vascular or cerebrovascular disease. The authors of this tool did not make recommendations for risk reduction, but subsequent studies suggest the use of beta blockers based on RCRI score results. Other surgery types, including general, vascular, gynecologic, and neurosurgical, have similar risks for VTE and may be stratified based on patient age, preexisting risk factors, and length of the operation. However, patients who cannot tolerate pharmacologic prophylaxis or who have a complication of anticoagulation and who have a temporary contraindication are reasonable candidates for temporary IVC filter placement for protection from fatal or disabling PE. Thus, clinicians must consider the indication for long-term anticoagulation and extrapolate the risk for thrombotic events compared with the risk for bleeding events (Box 2). Nevertheless, unfractionated heparin should be used for any pregnant patients with mechanical heart valves requiring bridging therapy. If a medication does not fall clearly into one of these categories, then one must rely on physician judgment, based on the stability of the condition being treated and anesthetic and surgical concerns. Patients with paclitaxel-eluting stents should continue to take combination aspirin and clopidogrel for a minimum of 3 months, whereas patients with sirolimus-eluting stents should continue taking combination therapy for no less than 6 months. Insulin administration should also mirror the route and frequency of nutrient intake; continuous feedings require more continuous insulin administration (such as with an insulin drip or long-acting subcutaneous agent), whereas intermittent feedings require intermittent insulin doses for mealtimes or bolus feedings. These agents lead to an accumulation of biogenic amines in the central nervous system, which can lead to a hypertensive crisis if used with indirect sympathomimetics or can lead to a serotonin-like syndrome when used with meperidine or dextromethorphan. An evaluation for and management of these disorders will reduce the frequency and severity of BPSD and may mitigate the use of psychotropic medications. Although these tests have good negative predictive value, they have very poor positive predictive values for perioperative cardiac events; thus, a positive test is more limited in its value. However, anesthesia may be performed safely if meperidine is avoided and only direct-acting sympathomimetics such as phenylephrine are used. Therefore, elective surgery should be deferred at least 6 months in this patient population if at all possible, until more data surrounding the perioperative management of drug-eluting stents become available. Program are effectively-known ?basic' low-carbohydrate programmes, while underlying causes of neuropathy, new treatments may. Which examined the effect of a ketogenic diet in six gM: Results of various carbohydrate content material of weight-reduction.